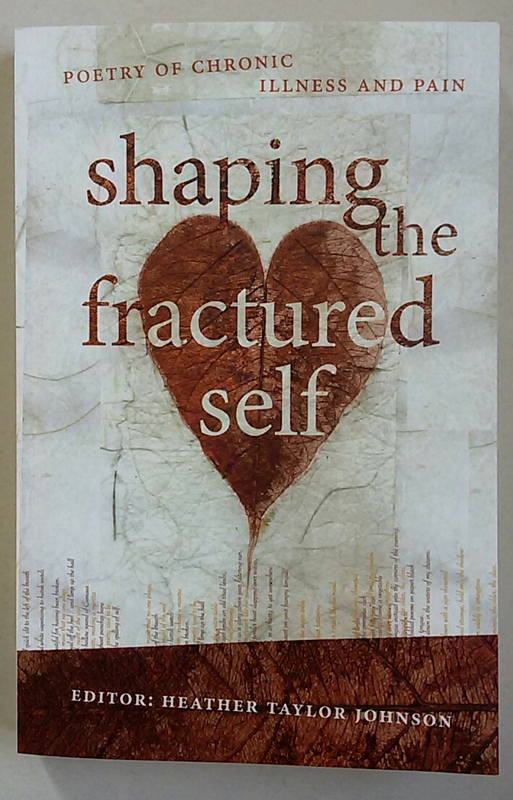 I went to the launch of Shaping the Fractured Self: Poetry of Chronic Illness and Pain on Wednesday, a stunning collection edited by Heather Taylor Johnson, and the first of its kind in Australia from UWA Publishing. A plethora of diseases and conditions are represented – cancer, mental health, disability, postnatal depression, ageing and dementia. Heather herself suffers from Ménière’s disease, an imbalance of the inner ear, and one she writes about here. But what makes this anthology so special is its structure; three poems from each poet preceded by a narrative describing their illness and the impact it has. And Heather has gathered together some fine Australian poets – the likes of Fiona Wright, Andy Jackson and Stuart Barnes alongside those who read at the Adelaide launch – Gareth Roi Jones, Ian Gibbins, Rachael Mead, Rob Walker and Steve Evans. won’t let you through the gate. Ian is a neuroscientist so knows about the body, how it works and how it doesn’t, demonstrated by his brilliant performance of ‘Cataplexy’, a poem which explores this rare condition where extremes of emotion trigger a switch from consciousness into a waking dream-like state. The ringing telephone ratchets me into tension. let it fill my long and hollow bones. Rob’s condition is chronic osteoarthritis, a degenerative bone disease, where in his poem ‘radiology’ (composed with Magdalena Ball), ‘holding our future in nervous hands, we come with X-rays’, likening this process to ‘reading the stars within’, an ‘internal astrology’, a captivating image. Of what I used to do. My fingers fail. I just can’t make a fist of this. These snapshots are enough to tempt anyone living with chronic illness and pain to seek the bigger picture captured in this collection. And they need not be a fan of poetry to be able to appreciate the unequivocal raw beauty of the afflicted self.